Trapezoidal slab of white marble found in 1887; now in the Louvre museum (64 x 48.5-51.0 cm; letter height: 1 cm). These are two honorary inscriptions for immigrants from Sidon in Phoenicia. 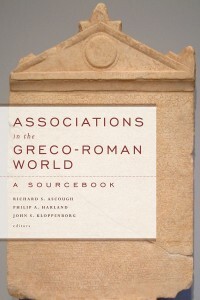 Following Teixidor, Ameling now dates both the Phoenician inscription (which honors Shama-baal) and the Greek inscription (which honors Diopeithes) to the third century BCE. If so, then this is an otherwise unknown Sidonian era (since the only known Sidonian era begins in 111 BCE, which would have dated the inscription to 96 BCE). Ameling convincingly argues that the "assembly" of Sidonians is an association of immigrants, not the civic assembly in Sidon itself. The translation of the Phoenician inscription here is based on the French translation by Javier Teixidor, "L'assemblée législative en Phénicie d'après les inscriptions," Syria 57 (1980), 453-464. The fourth day of the festival (marzeah) in the fourteenth year of the People of Sidon, it was resolved by the members of the Sidonian assembly to crown with a gold crown worth 20 full-weight darics (daraikoi; i.e. Persian coinage) Shama-baal son of Magon, who was president of the association in charge of the temple and in charge of the construction of the court of the temple, because he has built the court of the temple and has carried out every public function entrusted to him. This decision is to be written upon a carved stone by those who are our leaders in the temple and set up in the entrance of the temple for everyone to see. 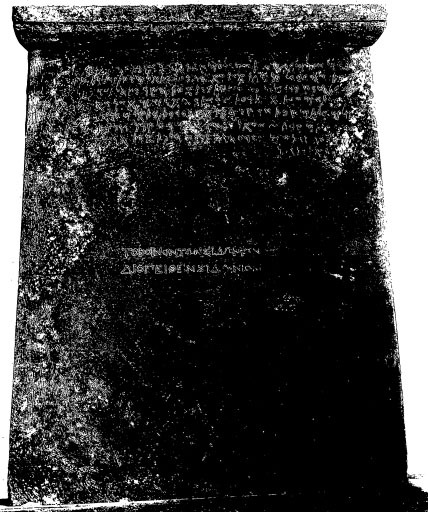 The decision is to appoint the association as guarantor of this monument (stele), taking 20 legal drachmas from the funds of the god Baal (“Lord”) of Sidon. Thus the Sidonians will know that the association knows how to pay back men who carry out a public function for the association. The association (koinon) of Sidonians honored Diopeithes, Sidonian. (Greek) τὸ κοινὸν τῶν Σιδωνίων | Διοπείθν Σιδώνιον. IG II² 2946: Photo from E. Renan, “Inscription phénicienne et grecque découvert au Pirée,” RA 11 (1888) 5-7, plates II-III. Facsimile of the Phoenician text by Mark Lidzbarski, Handbuch der nordsemitischen Epigraphik: II Teil Tafeln (Weimar: Verlag von Emil Farber, 1898), Taf. VIII, 6.